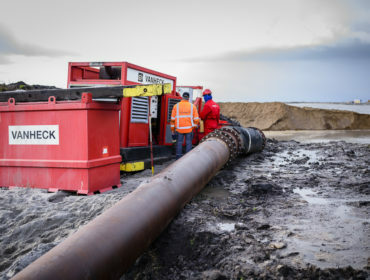 The municipality of Zwolle commissioned Royal Smals to extract sand from the Milligerlake for the Stadshagen district. 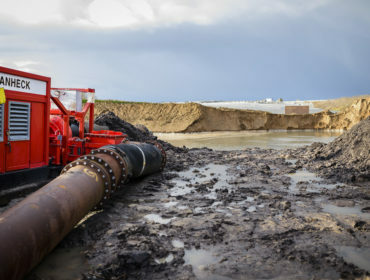 The sand will be required for future construction work on plots and roads of the residential area Breezicht, which is still under development. 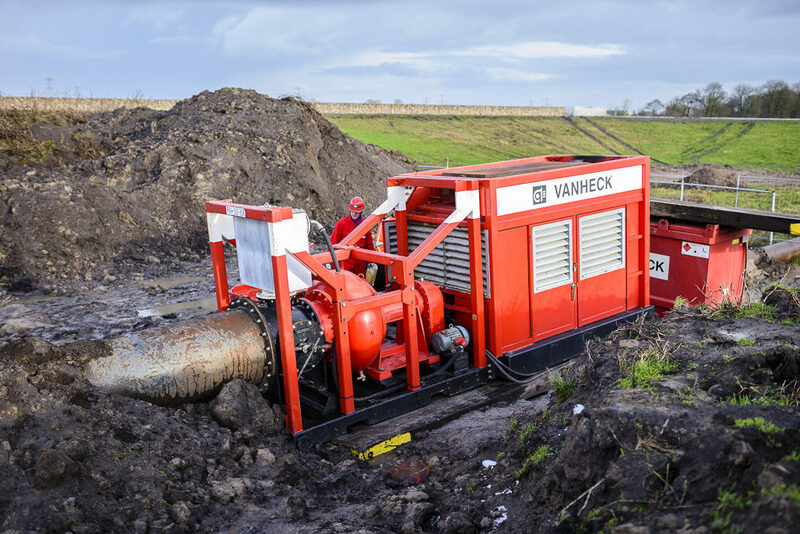 Van Heck made a major contribution to this project. 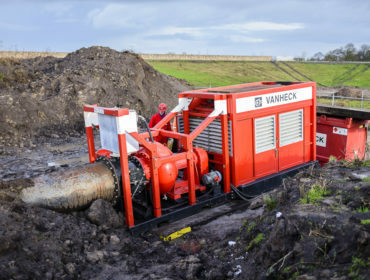 A HK500, with a flow rate of 4000 m3/hour, ensured that the process water was pumped back from the settling basin. The suction distance was approximately 20 meters and the delivery distance approximately 120 meters. 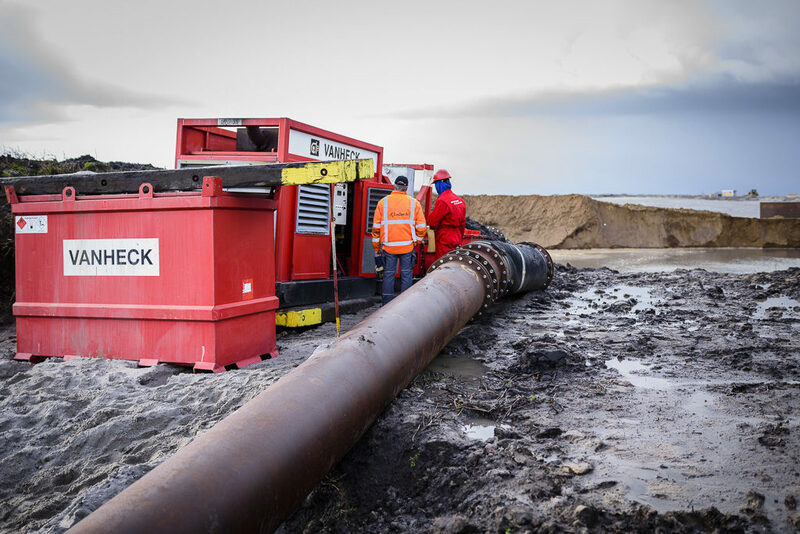 In this project the suction distance (horizontal) was longer than ‘normal’ because the suction pipe had to be brought through the dike. 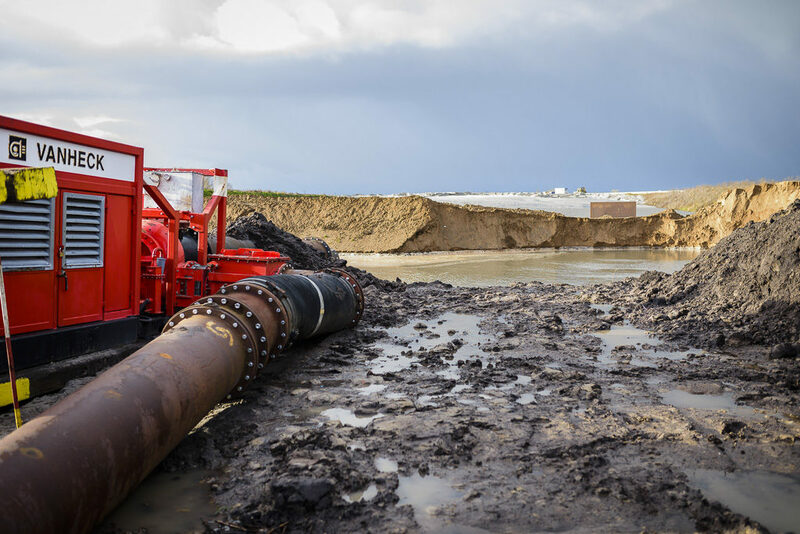 A total of approximately 210,000 cubic meters of sand was extracted which was collected in the new depot.